A Stanford professor is the first-ever woman to win the Fields Medal, the highest award given to mathematicians. 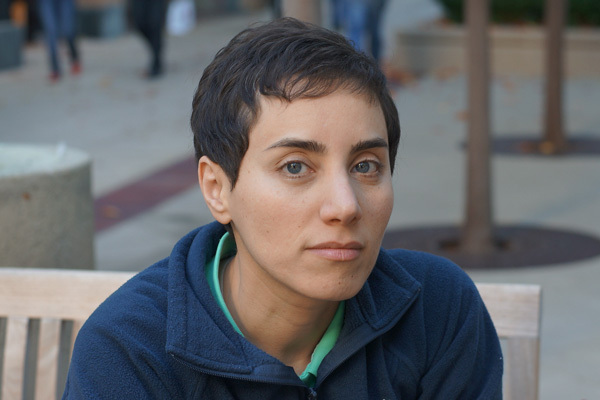 Maryam Mirzakhani studies geometry and a field called "dynamical systems." ...Mirzakhani's sophisticated and highly original contributions to the fields of geometry and dynamical systems, particularly in understanding the symmetry of curved surfaces, such as spheres, the surfaces of doughnuts and of hyperbolic objects. Although her work is considered "pure mathematics" and is mostly theoretical, it has implications for physics and quantum field theory. Petite but indomitable, Mirzakhani has a reputation among mathematicians for tackling the most difficult questions in her field with dogged persistence. “She has a fearless ambition when it comes to mathematics,” said Curtis McMullen of Harvard University, who was Mirzakhani’s doctoral adviser. The Fields Medal is sometimes described as the "Nobel Prize for math," and is awarded every four years to mathematicians under the age of 40. The other winners this year, all profiled by Quanta are Manjul Bhargava, a professor at Princeton University; Martin Hairer of the University of Oxford in England; and Artur Avila, who teaches at the Institut de mathématiques de Jussieu in Paris, and is the first Brazilian to win the Fields Medal. The award was established in 1936.